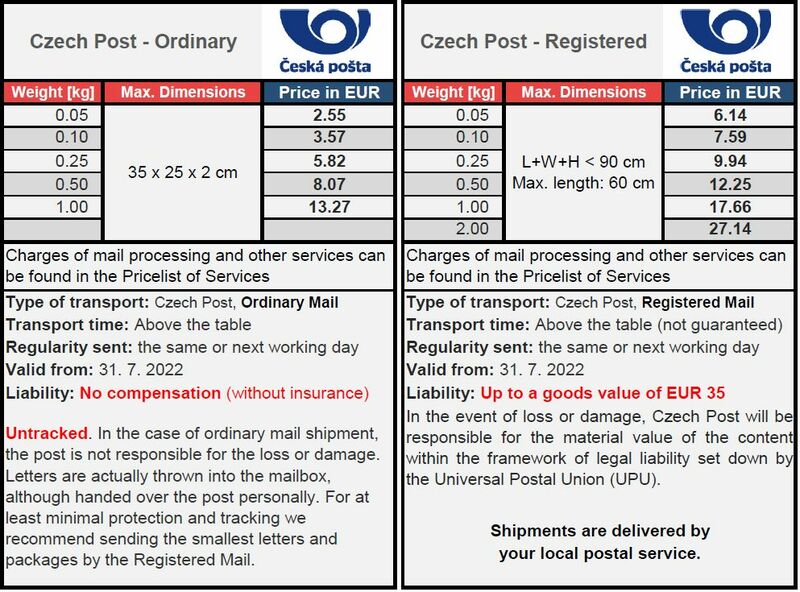 Czech Post - Ordinary & Registered Mail: for small and less valuable things up to 1 kg at very low postage from Germany to Martinique. The smallest items up to 2 kg can be sent with or without proof of delivery. In the case of regular mail shipment, the post is not responsible for the loss or damage. Letters are actually thrown into the mailbox, although handed over the post personally. For at least minimal protection and tracking we recommend sending the smallest letters and envelopes with proof of delivery. Faster transportation alternative suitable for larger shipments weighing up to 30 kg. 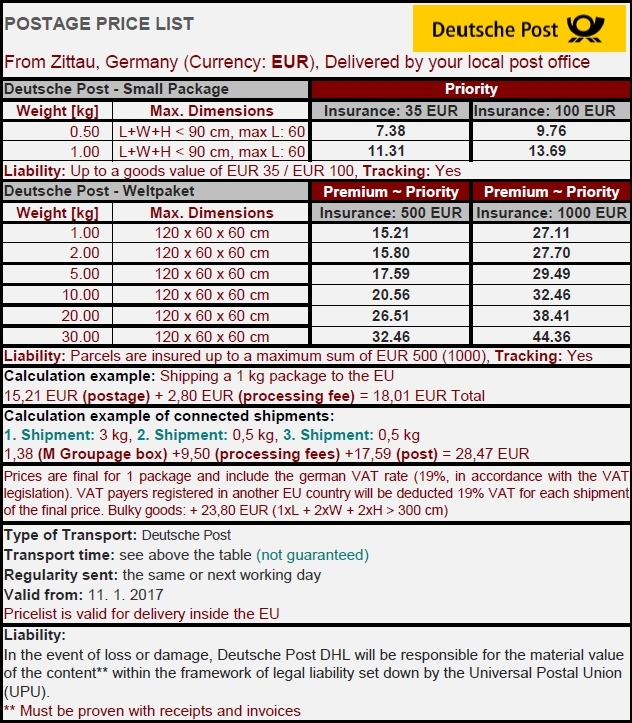 Includes liability of up to EUR 500 in the case of loss or damage and shipment tracking. The smallest items up to 1 kg can be sent with or without proof of delivery. In the case of ordinary mail shipment, the post is not responsible for the loss or damage. Letters are actually thrown into the mailbox, although handed over the post personally. For at least minimal protection and tracking we recommend sending the smallest letters and packages with proof of delivery (Registered Mail). Registered Mail includes online shipment tracking.